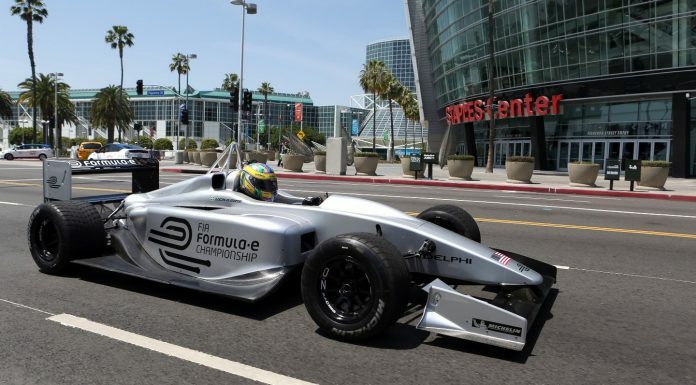 Los Angeles hosted an event to welcome the FIA Formula E Championship in readiness to hold the world’s first fully-electric Formula E race, beginning in 2014. 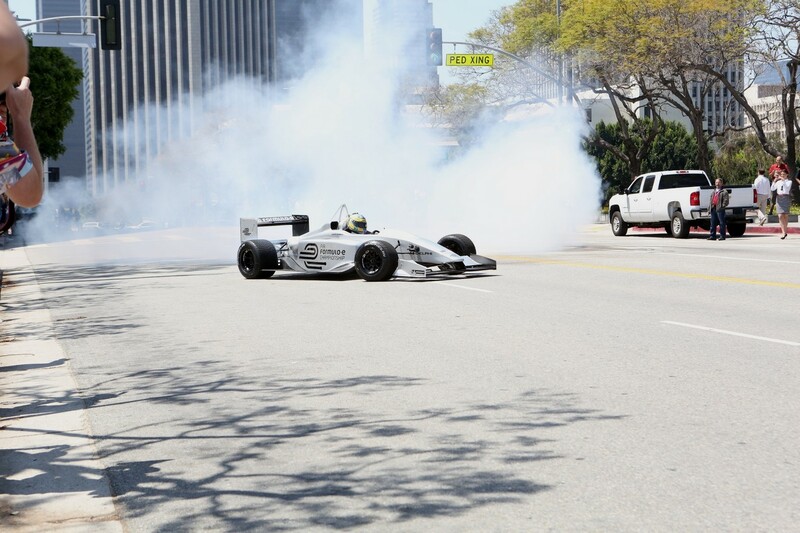 The event was opened by the Mayor Antonio Ramón Villaraigosa, Los Angeles is one of the ten cities that will host this races, it has been known as the car capital of the world and is on the verge of becoming the electrical car capital of the world. Formula E is a new FIA championship where the race cars utilize electric energy which is also the vision for the motor industry. These races will be held in the world’s leading cities and in 2013 the demonstrations are underway followed by races in 2014. Ten cars and 20 drivers will take part in the races, Formula E’s aim is to support the theme brought about by use of electric energy. The demonstrations in Los Angles took place during Earth Day which is a special day when the universe celebrates environmental protection on April 22. It has been with us for 43 years and was started by United States Senator Gaylord Nelson. The Formula E car has an American flag design and driven by ex-Formula 1 racer and official Formula E test driver Lucas di Grassi. Formula E Holdings are one of the promoters for this event and Los Angeles was selected due to its massive involvement in the electric energy program thanks to the Los Angeles Department of Water and Power’s (LADWP) Electric Vehicle Program, so far LA has 121 public electric vehicle charging stations.The other locations include Miami; London, Rome and Europe; Beijing and Putrajaya in Asia; and, Buenos Aires and Rio de Janiero in South America, with two locations to be announced. By hosting Formula E Championship races here, we ensure our place as a leader in the charge to generate awareness for electric vehicles and their benefits. By selecting Los Angeles as the site of their Championship races, Formula E Holdings brings international attention to our City’s electric vehicle infrastructure programs and increased tourism revenue to our City. We are very thankful to the Mayor and the authorities for the enthusiastic welcome they have given our Championship and are honored to have Los Angeles on board to host Formula E and share our passion for promoting sustainable motoring. 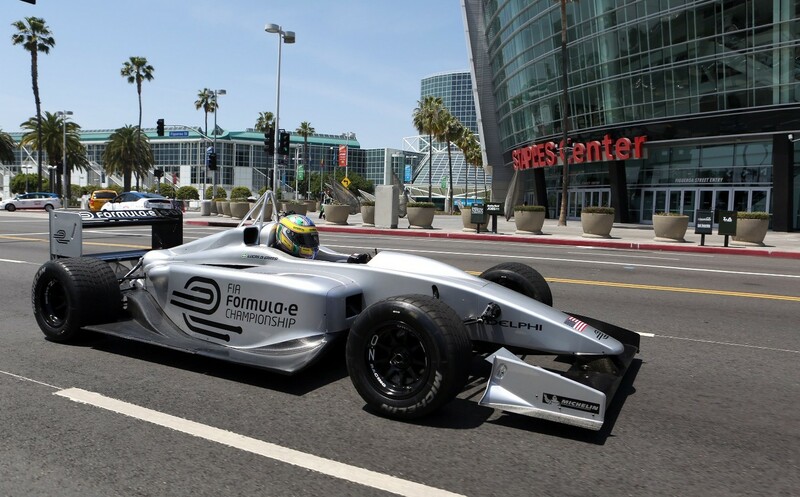 Los Angeles’ iconic landmarks provide a perfect backdrop to bring to life the excitement of Formula E racing, while at the same time, inspiring people to believe in the electric vehicle for their own personal use. The LA race is also going to have a real positive impact on the City by creating many new job opportunities together with considerable amounts in visitor spending and of course a great sense of community pride. 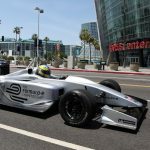 The LA Formula E race will take place on the city streets downtown, each race will last one hour and these cars are capable of hitting 140mph and with zero emissions, that’s fast enough to keep up with most fuel injected cars in the market.